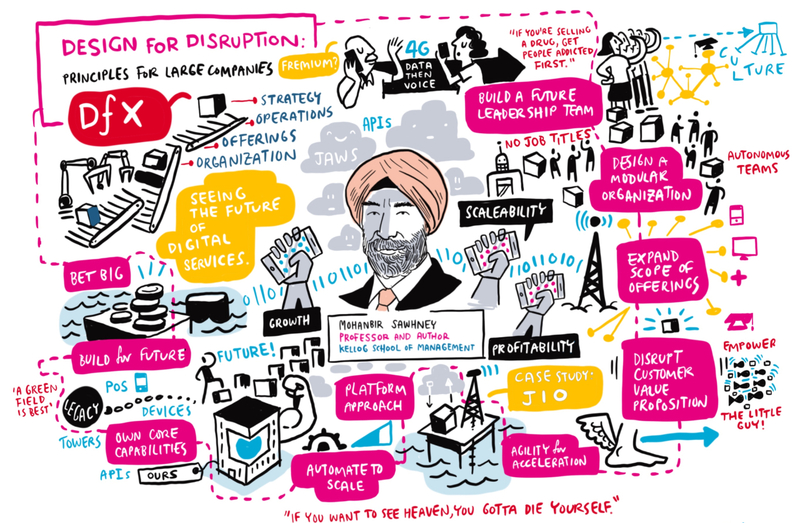 Innovation Roundtable is a leading network exclusively for innovation executives in multi-national firms. 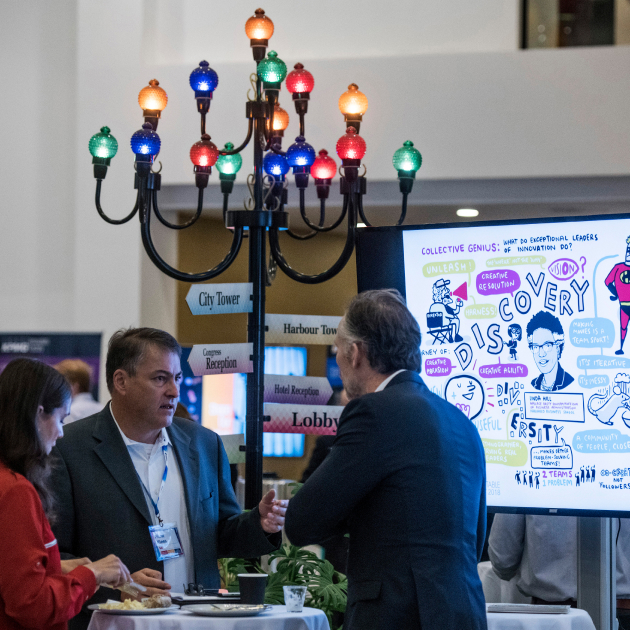 The Roundtable Summit is produced once a year and is attended by 700 innovation executives. 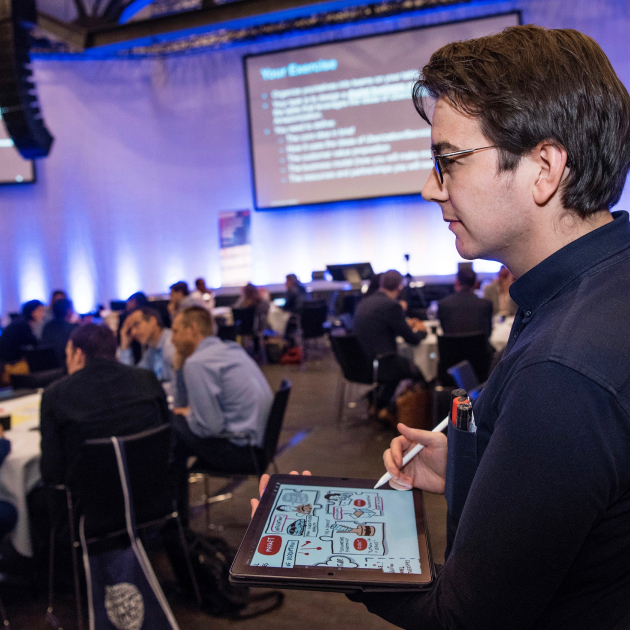 Over three dynamic days, filled with inspiring presentations, roundtable discussions, immersive Labs and networking opportunities, our scribe captures the key messages of the Innovation Summit onto an iPad. Multiple screens around the venue share the images, which stimulates further discussions. The images are displayed in the reception areas during break times and our online gallery is also embedded into the event App. During the final wrap up the scribed images are used in a presentation to sum up and reinforce the key takeaways in a vibrant and memorable way.